Mack Abbeduto was born and raised in Madison, Wisconsin, graduating from a local high school there in 2008. Due to a nascent interest in politics and law, Mack decided to attend the George Washington University (GWU) in Washington, D.C. While at GWU, Mack majored in History and Criminal Justice, while interning in various legal offices around the city. He graduated from GWU in 2012. Mack began law school at Georgetown University Law Center (Georgetown Law) in the fall of 2012. While at Georgetown Law Mack focused his studies on Criminal Law and International Law. He took advantage of Georgetown Law’s legal study abroad program and attended the consortium school, the Center for Transnational Legal Studies, in London, England. After his second year of law school, Mack worked as a summer law clerk for the law firm of Kelley, Drye, and Warren, and subsequently accepted an offer of employment from the firm after graduating from Georgetown Law in 2015. While at Kelley Drye, Mack worked as an associate in the firm’s commercial litigation division. Mack’s caseload touched upon a large range of legal areas including antitrust, environmental, trademark infringement, trade secret appropriation, Medicare fraud, and class action litigation. After a year and a half at Kelley Drye, Mack decided to follow his interest in criminal law and accepted a position as a Law Clerk in the Homicide Division of the State’s Attorney’s Office for Baltimore City. In the fall of 2018, Mack was promoted to Assistant State’s Attorney. Describe a typical day as a Homicide Law Clerk in the State’s Attorney’s Office for Baltimore City. The most engaging aspect of life in a prosecutor’s office is that one-day is never like another. Generally as a Homicide Law Clerk, we are assigned to many cases at a time, each one of which is staffed with a lead prosecutor. My job as a Law Clerk is to do anything and everything to assist the lead prosecutor. This can include legal research, writing pre-trial motions, finding witnesses who are lost in the court house, going over opening statements and closing arguments, or sitting in on trial prep meetings and giving feedback regarding the direction of the case. A typical day includes a lot of running around to different court houses in downtown Baltimore, as well as sitting at my desk delving into a research question or a motion that needs to be written. What initially attracted you to this field? 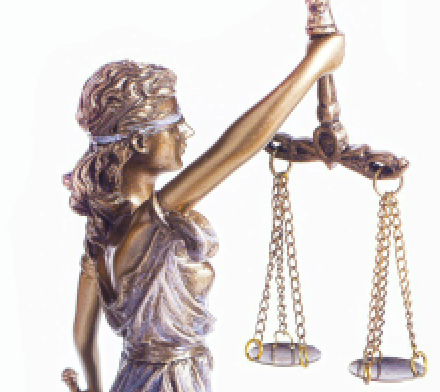 What are some of the rewards of this area of law and the legal profession? What initially attracted me to criminal law were the ethical and policy questions that are unavoidable in almost every decision. Whether its recommending a sentence for a defendant, choosing whether or not to bring certain charges, deciding in what direction to push the investigation, each and every decision has far reaching consequences for the individuals involved and the community at large. What has fortified my decision to enter the field of criminal law is the practical implications. Prosecutors are given a lot of discretion in the criminal justice system. Being a part of the team that works to exercise that discretion in an ethical and empathic manner has been extremely rewarding. On a daily basis I see the real world effects of my office’s decisions, whether it is placing someone on the path to rehabilitation, seeing the relief on the faces of victims’ family members who know justice was achieved in their case, or by simply knowing that a case was worked with diligence, care, and empathy. How would you compare the reality of your profession to the picture you had of it before entering and while in law school? Are there downsides to your field? The most surprising aspect of criminal law practice is the pace of it. People warn you that criminal litigation moves fast, but until you are actually in it, it is impossible to grasp the speed at which things happen. My experience in civil practice was a lesson in prolonged fastidiousness, whereas criminal law has taught me how to be efficient and effective even if given almost no time to complete a task. This also leads into the major downside of criminal law; namely, that you wish you had more time. It is such an interesting field and there are so many questions that come up that you wish you would have more time to delve into but you don’t. You just have to keep moving. Do you have any advice for an undergraduate interested in pursuing this body of law and the legal profession? The best thing that you can do is intern in the areas of law in which you are interested. The reality of the legal profession, like most professions, is that the actual practice of it is vastly different than what you read about it. To see people in the job you one day want is the best window into whether or not you will actually like that job day in and day out. Absent the opportunity to get an internship in the area of law you are interested in, the second best path is to pursue outside research into the area. Try to find talks in DC or Baltimore, or even online, by people whose position you would one day like to have. Listen to what makes them excited about their jobs, what they find fascinating, and what they find boring. If they captivate you it is a good sign that you are on the right track. Mack is happy to answer questions and is reachable by email at: mack.abbeduto@gmail.com. He recommends the following links: http://www.scotusblog.com/ and https://reason.com/volokh.